Documents the survival tale of an intrepid shorebird who has endured annual migrations between Argentina and the Canadian Arctic throughout the course of a long lifetime while his species continues to decline. Winner of the Newbery Medal and a #1 New York Times bestseller!This stirring and unforgettable novel from renowned author Katherine Applegate celebrates the transformative power of unexpected friendships. 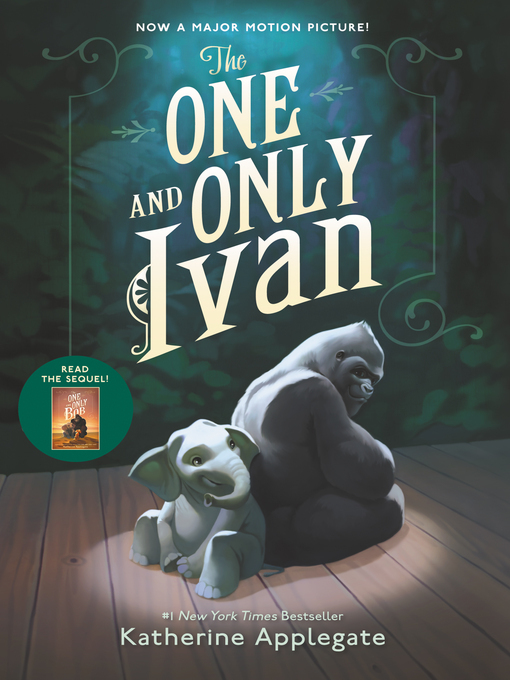 Inspired by the true story of a captive gorilla known as Ivan, this illustrated novel is told from the point-of-view of Ivan himself. Having spent 27 years behind the glass walls of his enclosure in a shopping mall, Ivan has grown accustomed to humans watching him. He hardly ever thinks about his life in the jungle. Instead, Ivan occupies himself with television, his friends Stella and Bob, and painting. But when he meets Ruby, a baby elephant taken from the wild, he is forced to see their home, and his art, through new eyes.The One and Only Ivan was hailed as a best book of the year by Kirkus, School Library Journal, and Amazon, demonstrating it is a true classic in the making. In the tradition of timeless stories like Charlotte&apos;s Web and Stuart Little, Katherine Applegate blends humor and poignancy to create Ivan&apos;s unforgettable first-person narration in a story of friendship, art, and hope. An author&apos;s note depicts the differences between the fictional story and true events. Discusses the events of the 4,000 African American students who marched to jail to secure their freedom in May 1963. When twelve-year-old Eric&apos;s parents are deployed to Iraq, he goes to live with grandparents he hardly knows in small-town North Dakota, but his grandfather&apos;s hostility and the threat of losing the dog he has rescued are too much and Eric runs away. Callum becomes friends with Iona, a practically feral classmate who has discovered an osprey, thought to be gone from Scotland, on Callum&apos;s family farm, and they eventually share the secret with others, including Jeneba who encounters the same bird at her home in Gambia. Having lost his mother and his hearing in a short time, twelve-year-old Ben leaves his Minnesota home in 1977 to seek the father he never knew in New York City, and meets Rose, who is also longing for something missing from her life. Ben&apos;s story is told in words; Rose&apos;s in pictures.